Charline S. Russo has held several executive positions in biopharma, including Executive Director, Global R&D Education and Training, Amgen, Thousand Oaks, CA. 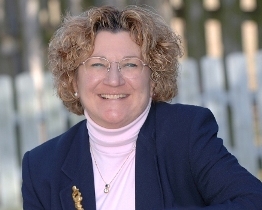 She was the Director, Worldwide Clinical Operations and Research Training for Schering-Plough Research Institute where she directed and implemented training and organization development for 1300 Global Clinical Development employees and was responsible for building and implementing a world-class global learning organization. She has directed adult learning and professional development institutes for several major universities including Rutgers University where she created and directed corporate executive education programs as well academic programs. Charline works co-operatively with all organizational levels in the private, public and not-for-profit sectors, directing her efforts primarily to employer-employee relationships in order to develop better knowledge and understanding for improved individual and organizational effectiveness. She believes that a defining condition of being human is the understanding of the meaning of our experience and that transformational learning, at the core of the coaching process, is about change, dramatic, fundamental change in the way we see ourselves and the world in which we live. The coach fosters a learning environment of trust and care, in which the client and the coach have a sensitive relationship with each other, built through reflective dialogue. They share the responsibility for establishing a learning atmosphere, in which transformative learning can occur. Her expertise includes knowledge management, performance management systems and processes and coaching as a leadership competency and strategic process for individual and organizational growth and development. 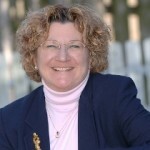 As a member of the affiliated faculty, University of Pennsylvania, Organizational Dynamics, she teaches courses in coaching leadership and organizational consulting. She received her BA in History and Psychology and MBA from Rutgers University and her MA and EdD from Columbia University. She earned a certificate in Leadership Education from the John F. Kennedy School, Harvard University.